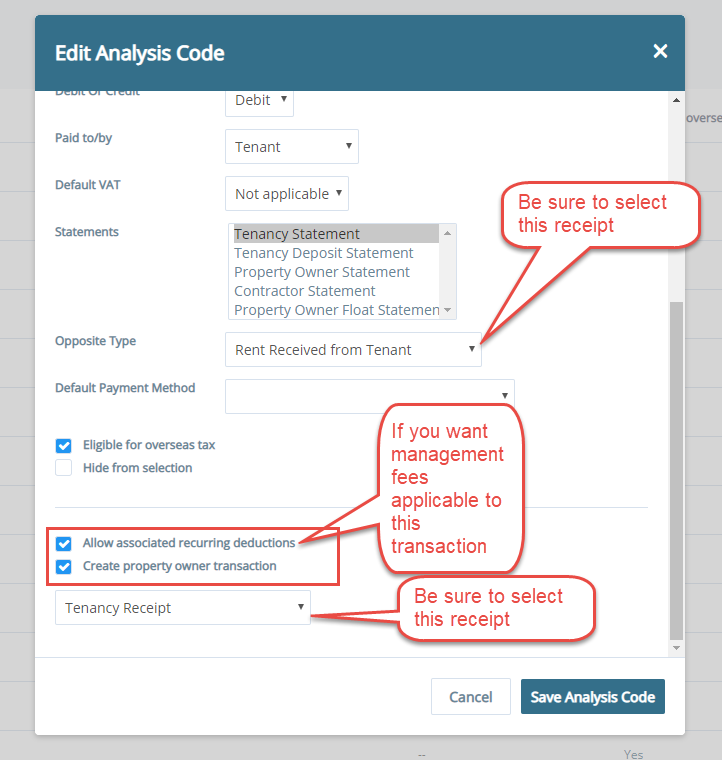 This article explains how to create your own code for receiving money from a tenant and passing over to your Landlord/Property Owner. This transaction will behave the same way as a “Rent Charge” does on Arthur. Please replicate the fields shown in the image below. You can call your Transaction whatever you please. Note: “Create property owner transaction”, must be ticked. 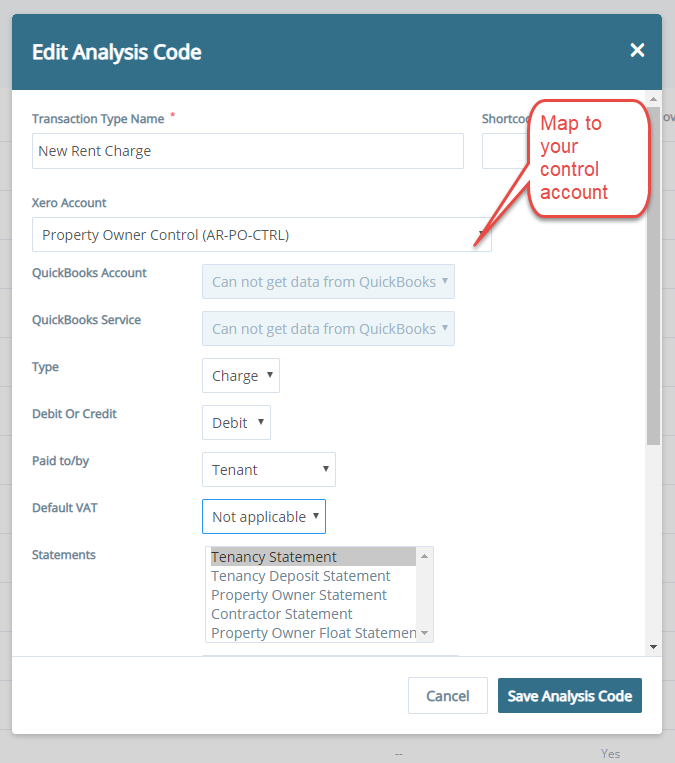 Note: Tick, “Allow associated recurring deductions”, If you want to be able to deduct management fees and/or want to be able to view this transaction on your Rent dashboard.